The East 11th street location has closed permanently. For the forceable future all tattoos will be done at a private studio. Details will be shared when appointments are confirmed. Please understand that michael simply cannot respond to every email. If your tattoo concept is interesting to michael, he will respond at his earliest convenience. Do not message via Facebook, as response will be delayed indefinitely. If you would like to visit the studio, please read the consultations page FIRST for CRITICALLY IMPORTANT information. messages containing questions already clearly answered in the FAQ, CONSULTATIONS, and APPOINTMENTS pages will not get a response. I always try to reply to emails within a day or two, but please be patient as occasionally I am so swamped with my duties at hubtattoo that it may take a little more time to return your email. If you don’t receive a response, it may be because you made an inquiry which has already been addressed in the f.a.q. or consultations pages, or because I am not interested in the concept you described. Please become familiar with the content on these pages BEFORE you email me. I also suggest that while you are waiting, you read the learning center articles to familiarize yourself with how I operate. You have a much higher chance of getting onto the schedule if you avoid asking me questions that I have already answered her. As always, thank you very much for your interest in getting tattooed with me at hubtattoo. Your support, patience, and trust mean a lot to me. 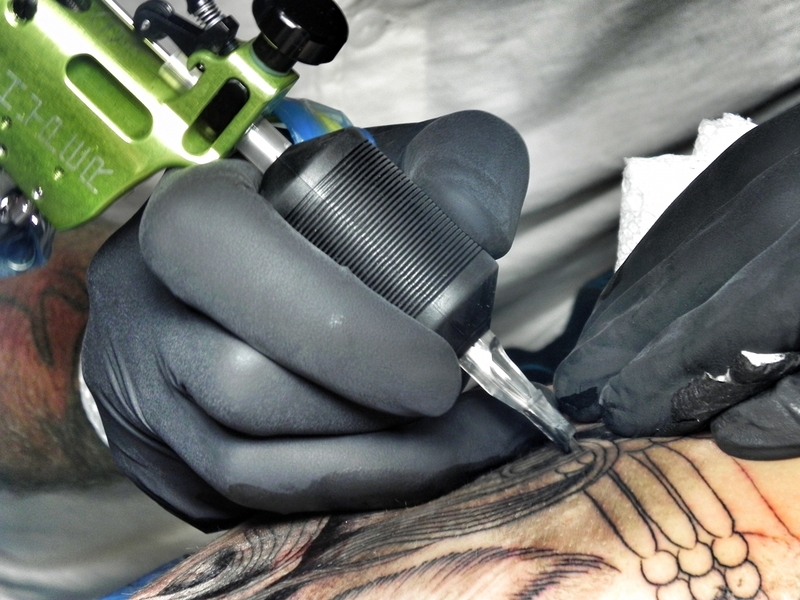 Tattoo artists earn their living by working for the publics trust. It is my first and most important mission to work toward making your tattoo experience a safe, fun, satisfying experience. Thank you for giving me the opportunity to show you how seriously I take this responsibility.